When it comes to drinks, we prefer something that freshens up our thirst. Cold drinks such as shakes and even types of teas are indeed very popular during this very exceptional season. With that, there are plenty of companies of drinks now are invading our country especially those who produce milk teas. Milk tea indeed captures the tastes of every Filipino which makes it very popular to our country nowadays and we can’t deny the mere fact that it is now one of the newly favorite drinks of everyone. And one of the country’s new milk tea makers was officially launched last May 12, 2012 at Greenbelt 2 Park, Makati City- the A-GANTEA TEA CAFÉ, which is located beside Qoola and National Bookstore. 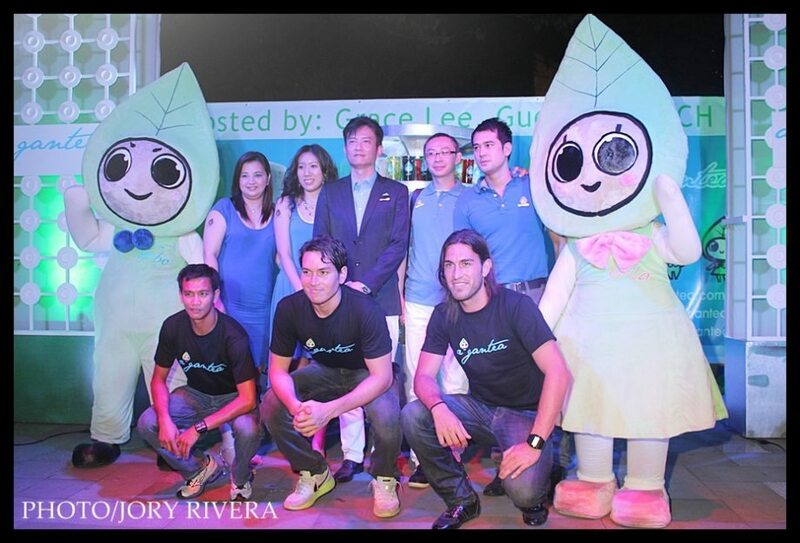 Brought to the Philippines by Qoola Phils Inc, A-GANTEA was established in 2006 by Chairman Mr. Vincent Ho. First A-Gantea branch opened in Feng Chia night market in Taichung, Taiwan. A-Gantea Tea Café is conceptualized by the company for everyone to experience a young and trendy ambiance with free wifi. A-Gantea, with “A” means a happy disposition and “Gan” means sweet, is devoted in developing all kinds of specialty blended tea beverages to suit the taste of students, office workers and families. A-Gantea guarantees quality beverages by selecting tea leaves from an altitude of 1200m in Taiwan’s Ali Mountains and makes their drinks in accordance with the type and character of the tea leaves by controlling time, temperature and water quality precisely. What makes A-Gantea stand-out from other milk tea brands? It’s their use of fresh fruit in their fruit teas and their special milk teas use premium imported milk with white chewy tapioca pearls and black pearls that are softer and sweeter that provides a different experience in the mouth. A-Gantea’s uniquely flavored products are sure to set a new tea drinking culture in the Philippines. Tea is very healthy to every people. With that, it is one of the highly recommended drinks nowadays. There are plenty of benefits we can get out of drinking tea and people should know about it. Tea is rich in anti-oxidants and can help slow down the aging process. It helps in repairing and regenerating new cells in the body. Tea lowers the risk of heart disease and stroke and improves cholesterol levels. Tea also contains fluoride and tannins that fight cavities and reduce plaque. Tea helps the body’s immune defenses. Tea is also a good digestive aid after a meal. Tea protects against cancer and neurogical disorders. The event was indeed very successful which is hosted by Grace Lee and Jamich and of course the special guests who attended the said opening made it complete too. Together with its guests, of course A-Gantea’s official ambassadors were introduced as well. A-Gantea’s official ambassadors Tea-Bo and Tea-La are known for their happy disposition. Their smile brings happiness by providing the only best pure tea to the Taiwanese. Tea-Bo is A-Gantea’s male mascot and Tea- La is the female counterpart. Tea-Bo and Tea-La were welcomed by Filipinos through its brand, A-Gantea and eventually considered Philippines as their second home. The grand opening covers a press con and as well includes varieties of games, twitter contests and so much more. Everyone who attended the said event had fun and enjoyed it much. It was indeed a very successful grand opening of A Gantea’s first branch in the country! Presently, A-Gantea has 100 stores in the metro including tea café in Malayasia. With A-Gantea’s goal to reach more market and to offer a great tea experience worldwide. A-Gantea will soon open tea cafe in Robinson’s Ermita, Ayala Triangle Makati and Harbor Point in Subic. 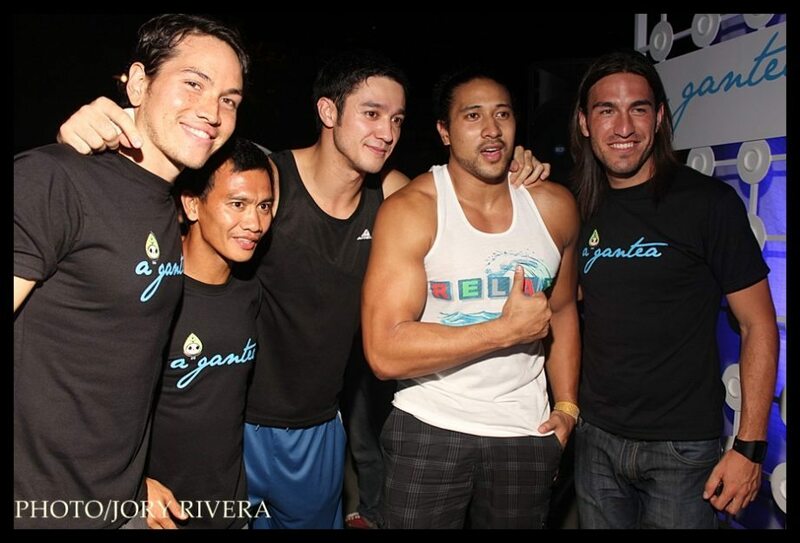 For more updates on A-Gantea events and products, you can visit www.facebook.com/aganteaph or www.twitter.com/aganteaph.